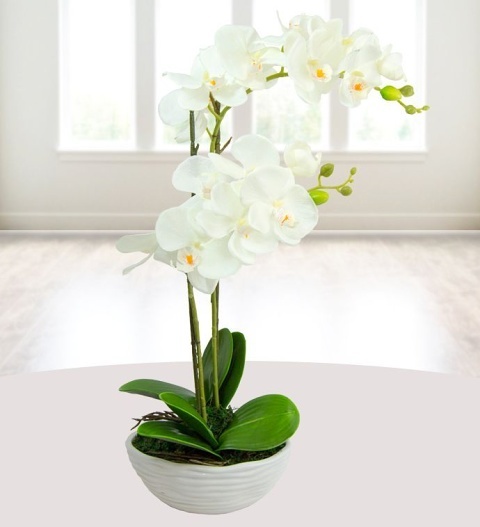 Our beautiful silk white orchids are prestigiously handmade by our talented artists. Each one is life like and requires no water! The detail and craftsmanship is exemplary and are by far the most beautiful silk flowers on the market. Perfect for all occasions, this silk arrangement comes with a free box of Belgian chocolates and is available for UK next day delivery.